Iâ€™m finally ready to reveal the massive secret project Iâ€™ve been working on. Ready? 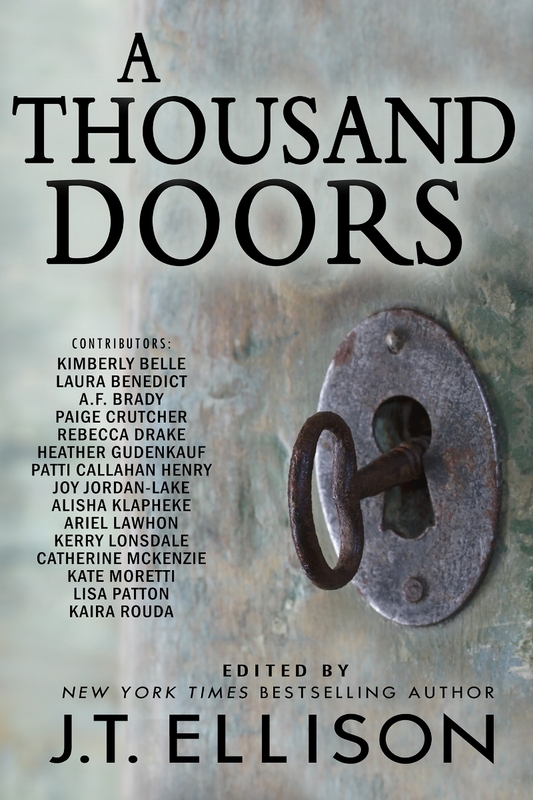 Through the unique voices of New York Times bestsellers and rising stars in women's fiction, A THOUSAND DOORS examines how our smallest decisions can create lasting effects, and allows the thoughtâ€”can we actually change our lives? For a decade, Iâ€™ve been harboring a story. A young woman, murdered. And as she dies, she lives all the lives sheâ€™d once dreamed of having. Sliding Doors meets The Lovely Bones. But it wasnâ€™t my usual kind of story, and a very ambitious one at that, so I shelved it until I felt the time was right. Iâ€™m so glad I did, because as the years progressed, I realized I needed help writing Miaâ€™s many lives. This is the most unique, exciting project Iâ€™ve ever had the pleasure to work on. Itâ€™s much more than an anthology, it is a full-on novel. Over the course of the story, you are going to meet 16 different variations of Mia Jensen. You are going to journey through her lives, be shocked by her decisions, her actions, her vulnerabilities, her loves, her mistakes. You are going to get to know Mia better than she knows herself.